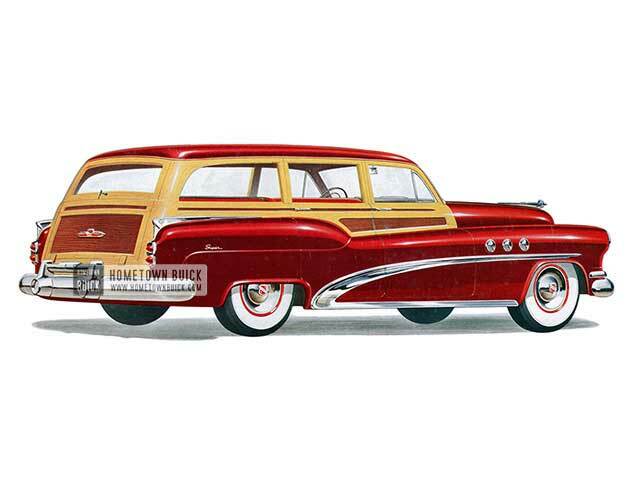 The 1952 Buick Roadmaster Estate Wagon (Model 79R) - a highly versatile six-passenger car at ease with play clothes, at home with strictly formal attire. Handsome and four-door handy - the ideal town and country car. 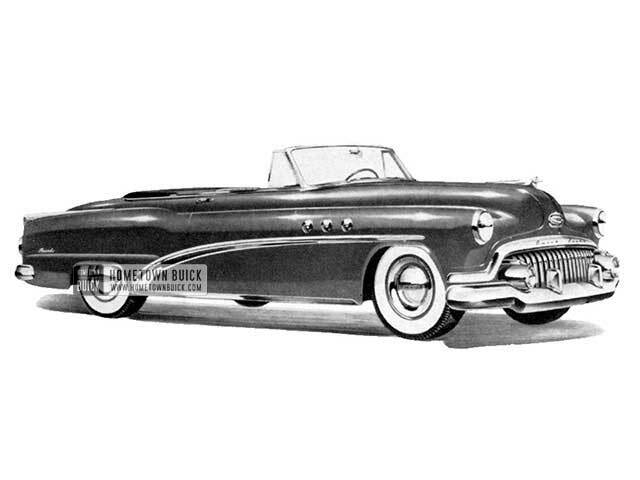 The 1952 Buick Roadmaster Convertible (Model 76C) - this is the most spirited of the master Buicks in looks and line-the one that makes the most of any season, any weather. Hydraulic controls position the top, the windows and even adjust the front seat. The 1952 Buick Roadmaster Sedan (Model 72R) - here is the most lordly, most spacious of Buick's six-passenger sedans. Regal in size and distinguished bearing, this four-door traveller is magnificently powered, masterful of ride and superbly light to handle. Note the impressive styling of sweepspear fender trim and chrome panels, the four-port markings, the silvery dress of extra side windows. 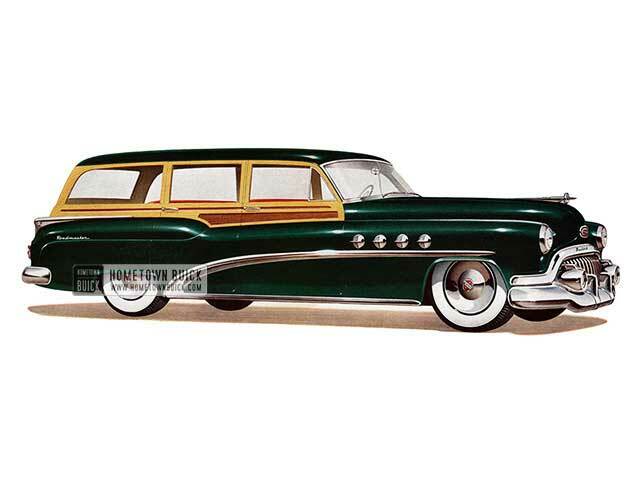 The 1952 Buick Super Estate Wagon (Model 59) - for town and country. Seasoned wood and sturdy metal dress this sophisticated four-door carrier of six big people and all their gear or luggage. 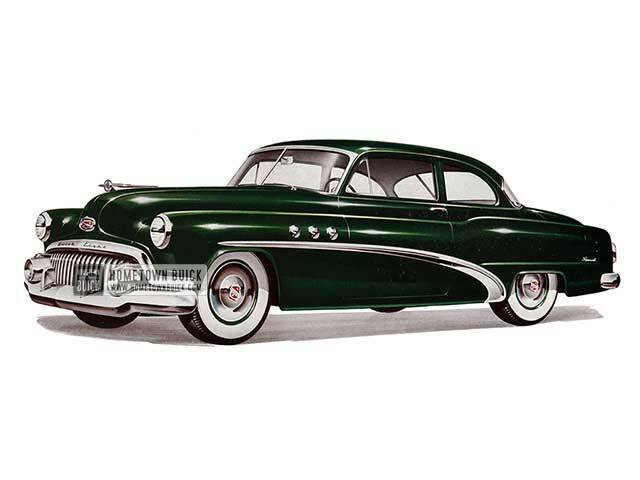 The 1952 Buick Super Riviera (Model 56R) - it's racy of line, seats six in comfort, has the Sedan comfort of a permanent steel roof and almost as much visibility as a top-down Convertible. 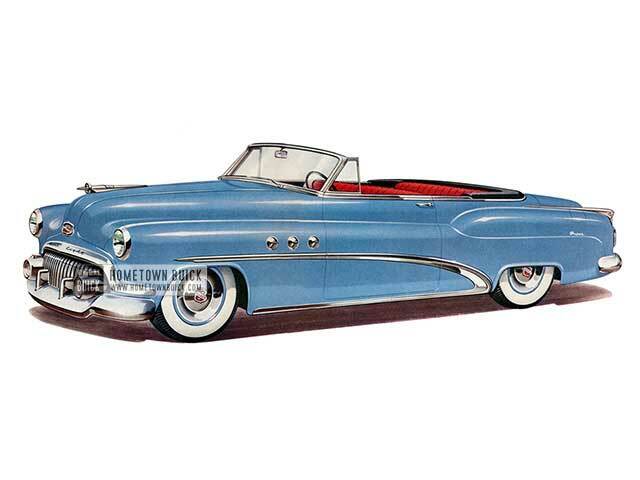 The 1952 Buick Super Convertible (Model 56C) - there's room for six in this graceful all-weather Buick. Hydraulic controls for top, windows and front seat adjustment. 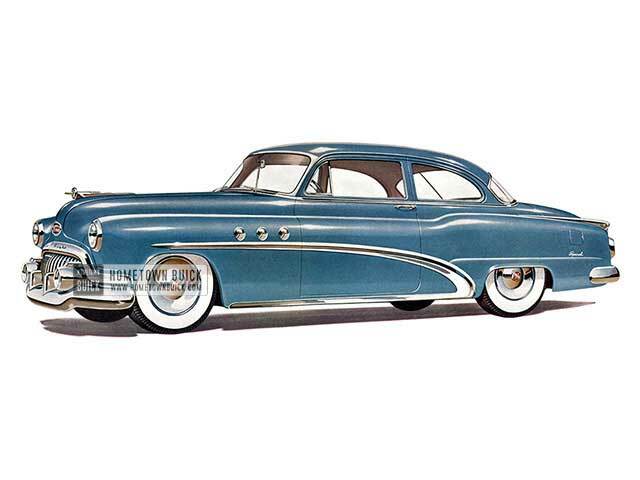 The 1952 Buick Super Sedan (Model 52) - biggest of the big-buy Supers, this extra-long four-door beauty rides on a 125 1/2-inch wheelbase, carries six in more than spacious comfort. 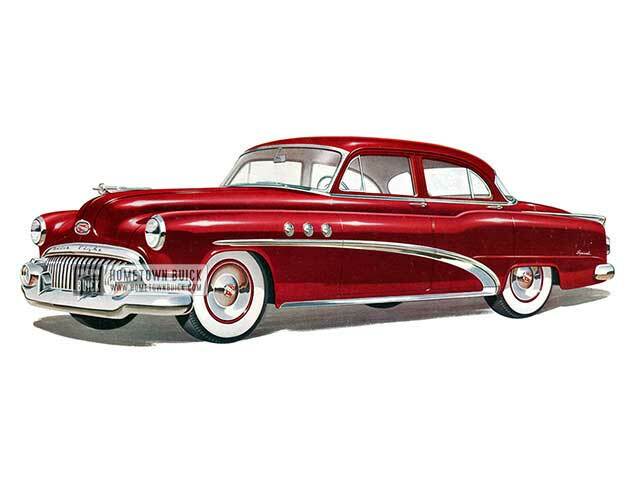 The 1952 Buick Special 2-door Deluxe Sedan (Model 48D) - two full seats with two-door safety for children-a luxuriously finished six-passenger beauty. Easy in, easy out-and easy to buy. 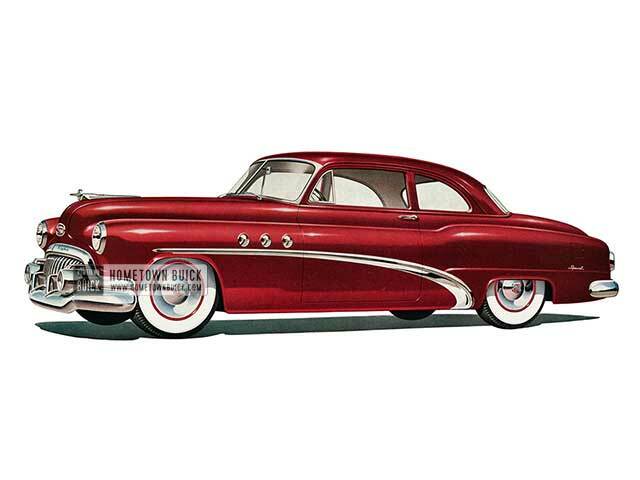 1952 Buick Special Sport Coupe (Model 46S) - two-door snug, and six-people roomy-thanks to the ingenious design in this eager-lined beauty. 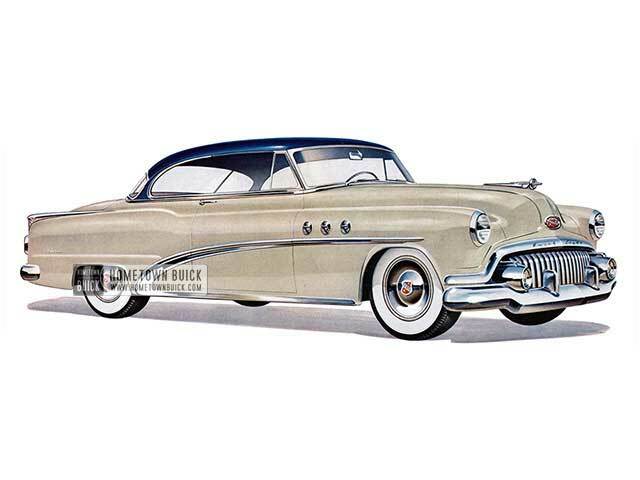 The 1952 Buick Special Convertible (Model 46C) - leather-lined seats for six and hydraulic control of top, windows, and front-seat adjustment mark this dazzling sportster in Buick's lowest price range. 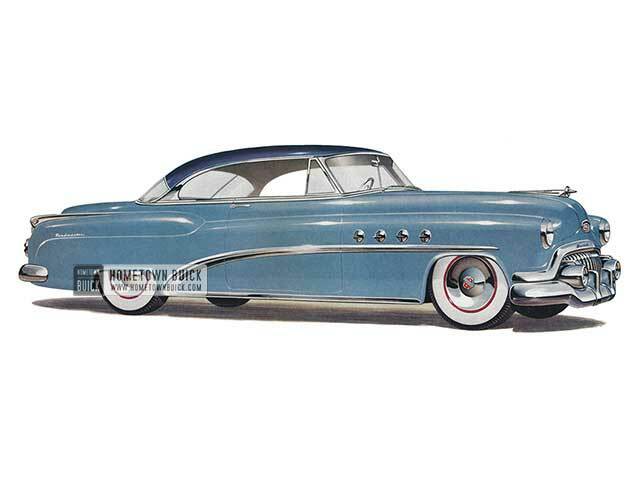 The roomy and raring-to-go leader of the budget-priced 1952 Buick Special Tourback Sedan (Model 48) -thrillingly powered by the high-mileage F-263 Fireball Engine. Here is where American engineering ingenuity puts its best foot forward. 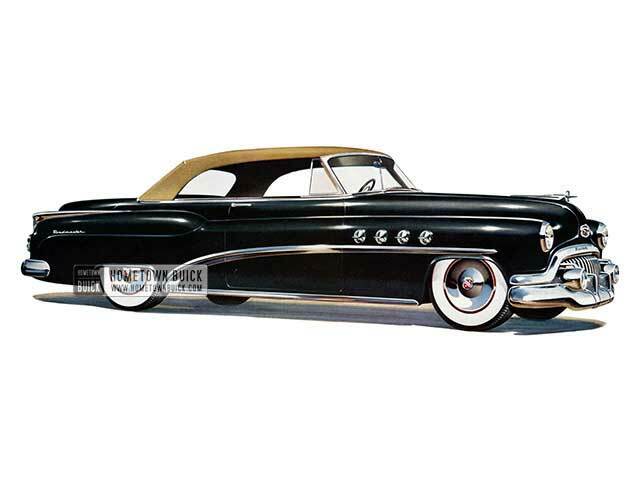 Here is fresh new styling ... richly fashioned new interiors ... a million dollar ride, literally ... and a host of fine new features that put more solid goodness into the 1952 Buick Special Tourback Coupe – Model 46. 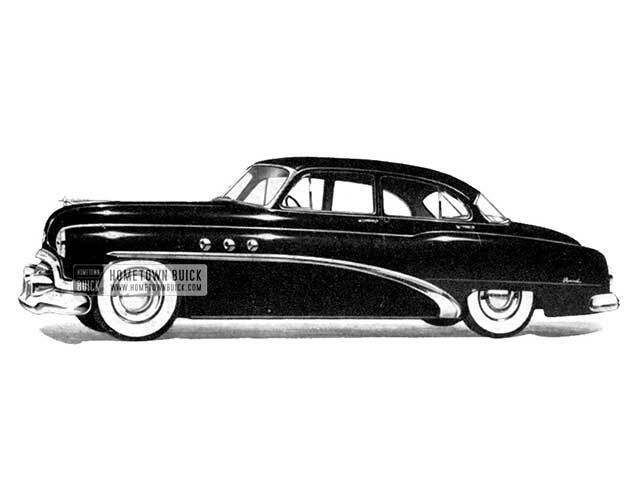 The 1952 Buick Special Riviera (Model 45R) - it's racy and road-steady. This handsome six-passenger beauty is a lively performer that's deluxe finished throughout. 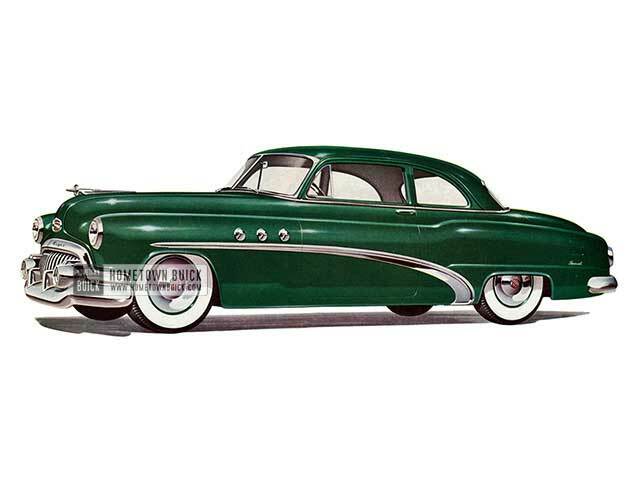 The 1952 Buick Special Sedan (Model 41) - big, beautiful and comfortably roomy for six passengers. A real budget-pleaser and a fine investment. 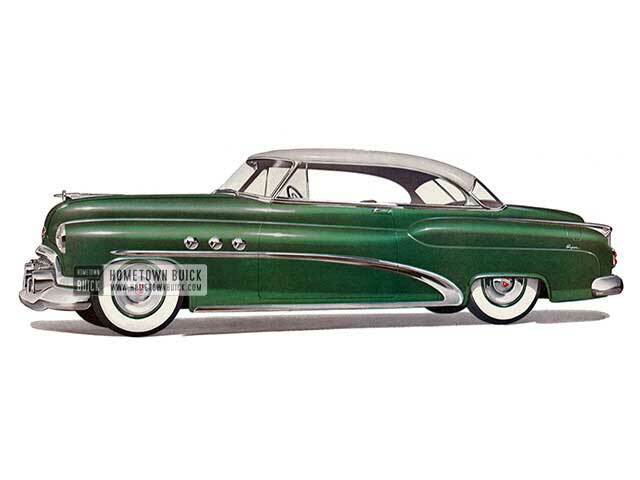 The 1952 Buick Roadmaster Riviera (Model 76R) - smartly combining the verve of a Convertible with the snug comfort of a steel-topped Sedan. Luxury abounds in this six-passenger beauty -from superb fabrics and gleaming chrome crossbows to hydraulic control of windows and front-seat adjustment. 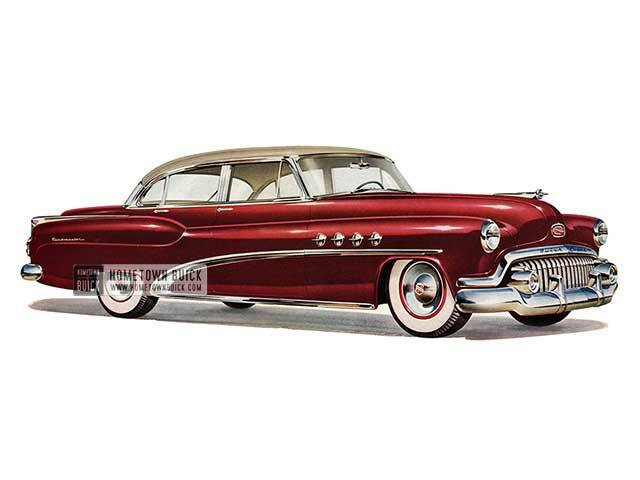 The 1952 Buick Special Deluxe Sedan (Model 41D) - big beauty in everything but price is this highly popular six-passenger Sedan with true deluxe finish throughout. As spirited in action as it is in appearance, a truly thoroughbred performer.